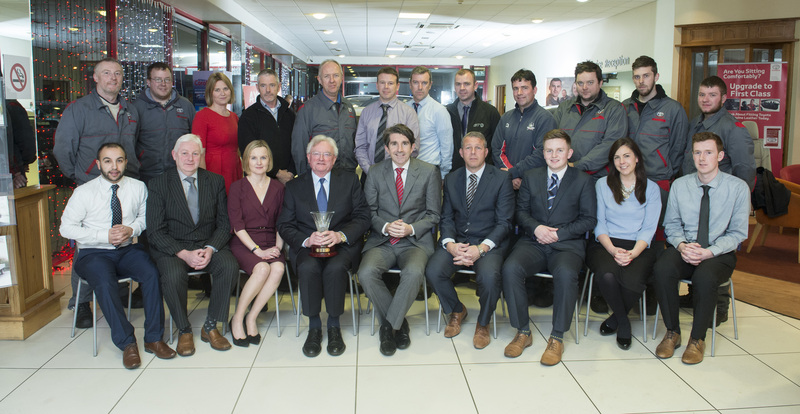 Here at Cogans Carrigaline we achieved a top honour from Toyota Ireland, when they awarded us Toyota Sales Dealer of the Year 2014. 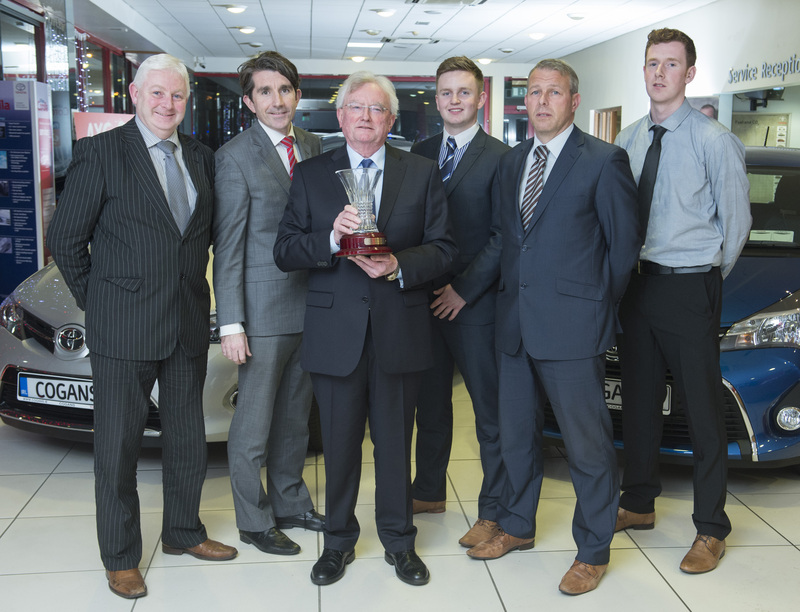 Our commitment to our customer's sales expereience was acknowledged when Managing Director, Robert Cogan was presented with the award. 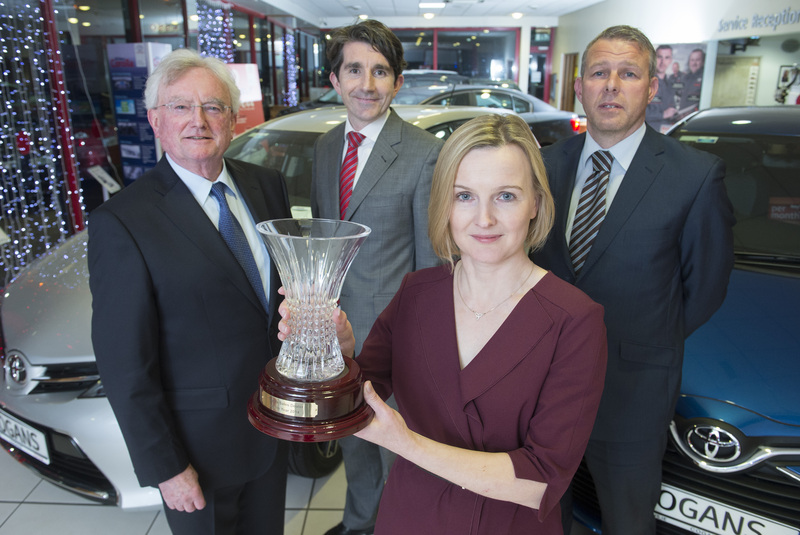 The awards organised by Toyota Ireland are designed to recognize the excellence achieved by Toyota Ireland Dealers across the country across a range of areas covering both sales and after sales. 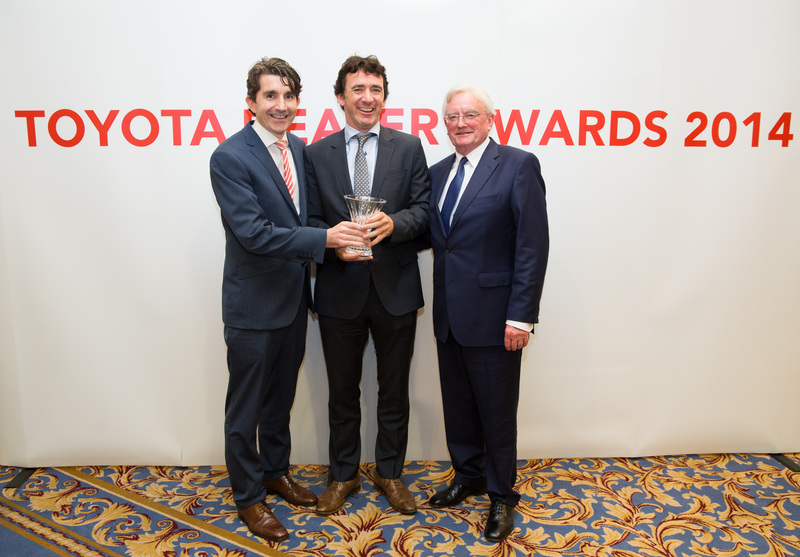 Robert Cogan had this to say on accepting the award: " To win this award brings great satisfaction to me and all the team, as it is our aim to provide the best possible experience for our customers, so to be awarded this accolade it means that we have achieved what we set out to achieve." Winning this award is a great way to finish up what has been a very succesful year for Cogans. We look forward to welcoming and meeting the needs of our customers in January for their new 151 vehicles.